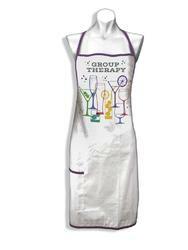 Whether cooking for a cozy dinner party or entertaining friends, this whimsical apron is sure to set the tone. 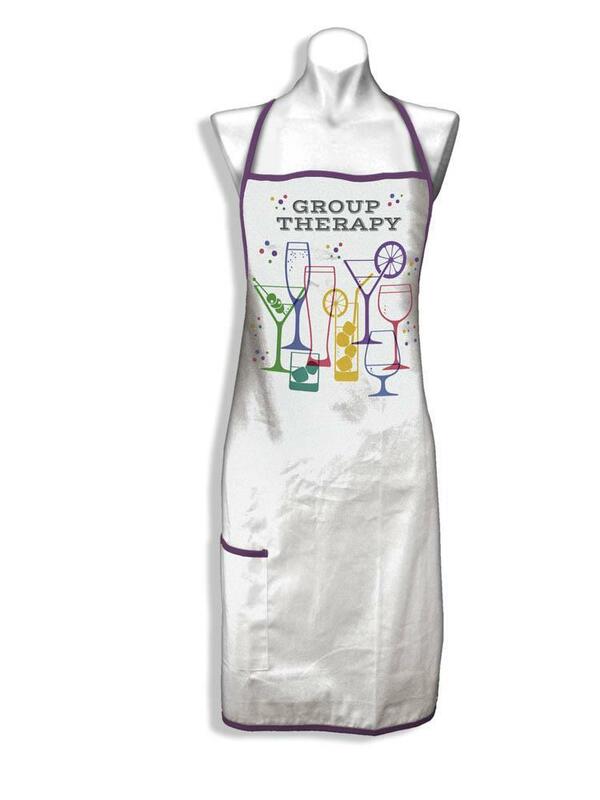 Adorned with eight cocktail glasses declaring "Group Therapy", it will bring some style to your meal preparation! Apron includes a convenient deep utility front pocket. One size fits most. Weight 4.8 pounds. 28" x 0.1" x 31". Cotton. UPC Number: 758606464336.